These black-legged ticks, Ixodes scapularis, are found on a wide range of hosts including mammals, birds, and reptiles. 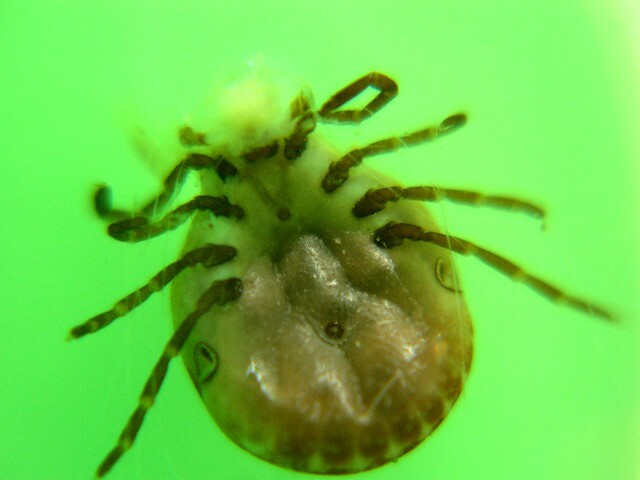 Black-legged ticks, I. scapularis are known to transmit Lyme disease, Borrelia burgdorferi, to humans and animals during feeding, when they insert their mouthparts into the skin of a host, and slowly take in the nutrient-rich host blood. It is summer time and that means walks in the woods, camping and all those glorious trips on nature trails enjoying the sights and sounds of nature. However, lurking in some areas there lies a nasty tick that can cause both humans and animals an opportunity to become very ill. It is an illness that is caused by a bite from an infected tick and it does not care who you are human or dog. This problem surfaced around 1975 when a group of children in a Lyme, Conn., suffered a severe outbreak of rheumatoid arthritis symptoms. This unusual grouping eventually lead researchers to identify the bacterial cause in 1982 and thus led to the name "Lyme disease." In 1984 it found its way into the canine population and since has skyrocketed. It is a serious and deadly disease if left untreated. According to statistics released by a pet insurance provider (Veterinary Pet Insurance) in 2008, Lyme disease is the most common canine infectious disease for the third year in a row. Forty-seven percent of all the claims Veterinary Pet Insurance received were for tick born infectious diseases. Lyme disease, ehrlichiosis (caused by the Brown Dog tick and the lone star tick, infection enters the white blood cells and causes anemia and other complications) and anaplasmosis (caused by deer ticks, the disease is similar to Lyme disease) are among the three leading infectious tick diseases. Warmer climates, urbanization and an increase in the rodent and deer populations are the primary causes. A female tick can lay approximately 3,000 eggs per season and once the tick population gets established there is a big problem in removing them. Once a disease that was established in a few areas has now managed to move through the entire Northeast, the Midwest and in areas of California and Oregon. It is a disease caused by a bacteria called Borrelia burgdorferi which is transmitted into the bloodstream by the saliva of the infected tick by means of a prolonged bite. It cannot be transmitted from dog to dog or to humans from dogs. It comes from the tick bite itself and reacts differently in humans than it does in dogs. different types of bacteria, but only these two ticks carry Lyme disease. It is difficult to diagnose. Common symptoms are fever, limb discomfort, lameness, swelling in the joints, lack of energy and loss of appetite. Since these symptoms are common to many other canine diseases it may take a while to determine the actual cause of the problems. Lyme disease can take up to 5 months after exposure to surface. A simple blood test can detect if a dog has been exposed to the bacteria and treatment can begin. Dogs are usually treated with an antibiotic (usually doxycycline) and will begin to show improvement within a few days after receiving treatment. The interesting thing is some dogs can test positive for the disease and never appear sick, as their bodies are capable of fighting off the bacteria. It is recommended, however, that if your dog tests positive and several other tests show the same result it is best to have your dog treated, but that is a matter of personal judgment. What are the complications of Lyme disease in dogs? Lyme disease does not cause permanent arthritis in dogs. The type of arthritis or lameness caused by this disease is non-erosive arthritis; it does not cause damage the bone. The swelling and lameness will go away with treatment. The potential problem related to Lyme disease is kidney complications if left untreated. These problems can be fatal to your dog. It is necessary to have your vet do a routine urinalysis if your dog has contracted Lyme disease. Lyme disease is a dangerous disease, but when caught early and treated most dogs achieve full recovery. Lyme disease in humans affects different areas of the body as it progresses. The place where the tick has bit the human usually causes a reddish rash and "flu-like" symptoms. (c) later a disease that causes motor and sensory nerve damage and brain inflammation as well as arthritis. Many people do not even recall a tick bite, as some ticks can be as small as the period at the end of this sentence. Some people do not develop a reddish rash, but even the rash will disappear by itself with no treatment at all. Some people suffer from flu-like symptoms and possible swollen glands plus a headache. If you are like most people you "get over" these things without the aid of your doctor and this is where the seriousness of this disease begins. As the bacteria spread through your body it begins to affect your heart muscle causing and inflammation, which can cause abnormal heartbeats and heart failure. The nervous system can develop facial paralysis, abnormal sensations due to the disease of peripheral nerves, meningitis, and confusion. If this is not enough, you can also develop chronic arthritis and suffer from anxiety and depression. How is Lyme disease diagnosed in humans? If you live in an area where Lyme disease is known and show up at the doctor's office with the usual red rash the diagnosis is simple. If you have been bitten by a tick be certain to tell your doctor. In most cases without your doctor know if you have been bitten or if you have been in an area where Lyme disease is known, they will review your history and try the process of elimination to exclude certain diseases. Blood tests are not significant in the early stages of the disease, though can be helpful in the later stages. Currently, the best test is what is called the Western Blot assay antibody test. How is Lyme disease treated in humans? In most cases, Lyme disease is treated with antibiotics that work really well in the early stages of the disease. If the disease has progressed undetected for a while, it may be necessary to take some intravenous drugs and pain-relieving medicines can also be given. How do you protect your dog and yourself? Since dogs carry ticks into the home, it is wise to check your dog every time it comes in. A tick check is simply done by going through your dog's fur and parting it with your fingers. Begin at the ears and head while working your way down, on black dog's use a flashlight to help you see the ticks. If you find one do not stop as you may find more, ticks love company. Use some sticky tape to help remove the tick or use tweezers making certain you remove the whole tick, legs and all. Do not try burning them off with a match or cigarette. Keep your grass cut; trim bushes around your house so that they get a chance to get some sun. Ticks love damp dark places. If you live near a wooded area keep the area around your home free from the growing brush; a stone or mulch path surrounding the area is a good idea. 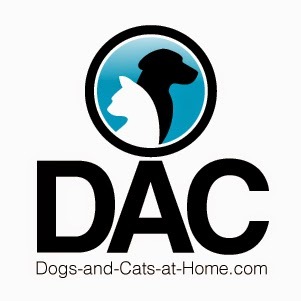 Use year-round flea and tick preventatives. If you live in an area where Lyme disease ticks are prevalent there are vaccines available to help prevent the disease. A vaccine along with the flea and tick preventative will go a long way in protecting your dog. Though it is known that the vaccines do not always work, they are worth a try. The vaccines are usually given twice, a few weeks apart and then once a year and are recommended if you live in areas known for the disease. Regarding us, humans wear protective long pants, long sleeves, and boots if you are venturing into the woods and if you pick up a tick be certain to remove it at once. Spraying an insect repellent that contains DEET will help too. If you get a tick and remove it, save the culprit in a jar so that is can be identified as not all ticks carry Lyme disease. It takes approximately 48 hours once a tick becomes attached to you or your dog to transmit the bacteria, that is why checking yourself and your dog is so important. The quicker you remove them the better off you both are. Lyme disease is caused by an organism known as a spirochete, which is a coiled rod-shaped bacterium and named Borrelia burgdorferi. It is passed to dogs and people by deer ticks carrying the infection; the ticks get the infection from the white-footed mouse, which acts as a carrier. The only way a tick can transmit the bacteria is to remain attached to the animal's skin for one to two days. Unfortunately, these ticks are very small and easily can go unnoticed. Lyme disease in dogs has been found orldwide and in ancient Chinese medical literature they actually describe a syndrome very similar to Lyme disease, thousands of years before Lyme , Connecticut was named. In the United States , more than 90% of the cases occur in the Northeast, with California and Mississippi second. Lyme disease in dogs is fairly common, but rarely seen in cats, although some cats have been infected with it. The main clinical signs of Lyme disease in dogs include a sudden yet recurring lameness that may shift from leg to leg. Sometimes this lameness is associated with a fever and depression. Occasionally you will see swollen lymph nodes. Sometimes the joints may be swollen, feel warm, and it's very painful. The dog infected will usually walk stiffly with a hunched back. Lyme disease in dogs is really very painful and they commonly are very sensitive to touch and may cry out with even the slightest touch. Many dogs with Lyme disease that were diagnosed with slipped discs in their neck and crying in pain and it was actually Lyme disease causes muscle spasms in the neck and they only improved when they were administered the appropriate antibiotic. Sometimes you will see the classic red round target lesion around a tick bite on your pet and within a few days they may show the signs of lameness, fever and sensitivity to touch. If you suspect your pet has Lyme disease, take them to the vet immediately for treatment. Treatment involves the use of an appropriate antibiotic, such as doxycycline, for at least three to four weeks. 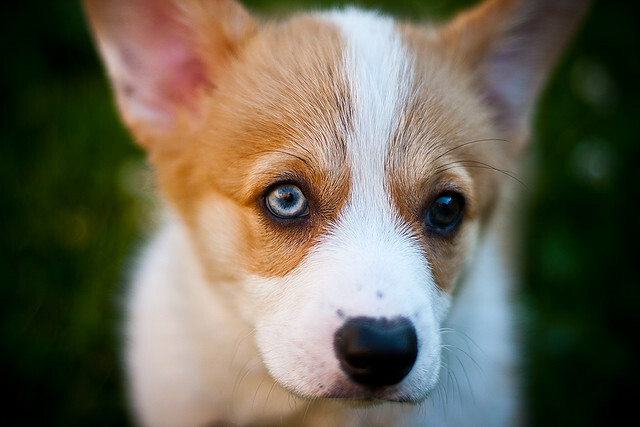 Dogs should begin to show signs of recovery two to three days after beginning treatment. However, the disease may recur within a few weeks or months; in these cases, the dog will need to return to antibiotic therapy for extended periods. There is a vaccine for the prevention of Lyme disease. Quick removal of a tick also will help prevent Lyme disease because the tick must remain attached to the dog's body for one to two days before the disease can be transmitted. Consult with a veterinarian about the different tick prevention products that are available, as they can be an effective way to prevent the disease. The sooner you start treatment, the sooner your pet will be without pain.